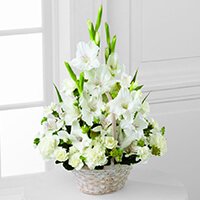 Jerry Emerick Service Details - Bellefonte, Pennsylvania | Wetzler Funeral Home, Inc.
Jerry A. Emerick, 77, of Bellefonte, passed away on Monday, November 26, 2018 at Geisinger Medical Center in Danville, PA. Born on December 22, 1940, in Zion, he was the son of the late Bruce William and Faery Mae (Sharer) Emerick. On May 20, 1960, he married the love of his live, Linda L. (Swisher) Emerick, who preceded him in death on October 30, 2012, after sharing 52 years of marriage together. Jerry was a 1958 graduate of Bellefonte High School. He worked as an electrician through IBEW Local #5 for 36 years until his retirement in 2002. 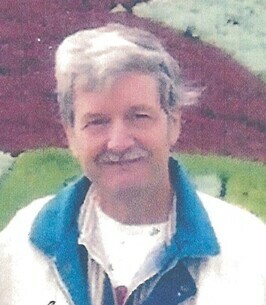 Jerry is survived by his three children, Jerry L. Emerick, of Blanchard, Michele E. Emerick, of Zion, and Jeffery A. Emerick (Anna), of Washington, Pa.; three grandchildren, Jessica Emerick, Jacob Emerick, both of Blanchard, and Catherine Emerick, of Harrisburg; and two great-grandchildren, Gavin and Kyler. Also surviving is one brother, Kaye Emerick (Marlene), of Zion. In addition to his wife and parents, he is preceded in death by one son, Jay H. Emerick, and one sister, Joanne Eichenlaub. Jerry was a member of the Free & Accepted Masons Lodge #268, in Bellefonte. He loved gardening and flowers. He especially treasured spending time with close family and friends. There will be a public viewing held on Thursday, November 29, 2018 from 4-6pm at Wetzler Funeral Service, Inc. at 206 N. Spring Street, Bellefonte. Funeral services will immediately follow at the funeral home at 6pm with Pastor Scott Brown officiating. Burial will be private at the convenience of the family. In lieu of flowers, memorial contributions may be made to the American Cancer Society at 1375 Martin Street #206, State College, PA 16803 or at www.cancer.org. 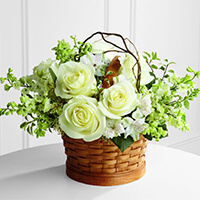 To send flowers to the family of Jerry A. Emerick, please visit our Heartfelt Sympathies Store. Jerry and family May your loving memories ease your mind during this difficult time. Healing wishes for you and your family. Our thoughts and prayers are with you all. Jeff and Anna I am so sorry for your loss. It is at these times that we rely on faith, family, and friends to find peace. My deepest condolences. Hearing about your loss has deeply saddened us, but we know that this is far from what you are going through right now. You are in our thoughts and prayers. Our heartfelt sympathy goes out to you and your family. Our thought and prayers are with you and your family during this difficult time. Let the good memories carry you through. God Bless you and your family. My condolences to the family and all who loved Jerry. It’s so hard to lose someone we love, but the seeming finality of death is what makes it especially difficult. Job 14:14,15 gives us confidence that God yearns to bring back to life the dead who are preserved in his memory. His Word, the Bible, gives us a wonderful hope of living in a paradise on earth and seeing the resurrection of our dead loved ones. (Luke 23:43; John 5:28,29) May this bring you some comfort during this very difficult time. In Loving Memory of Jerry A. Emerick. From your Covestro colleagues: Heather, Tim, Barbara, Pam, Doug, Sergio, Antonieta, and the HSEQ group. Our hearts are saddened by your loss and our thoughts and prayers are with you. Your memories of him will be treasured greatly.